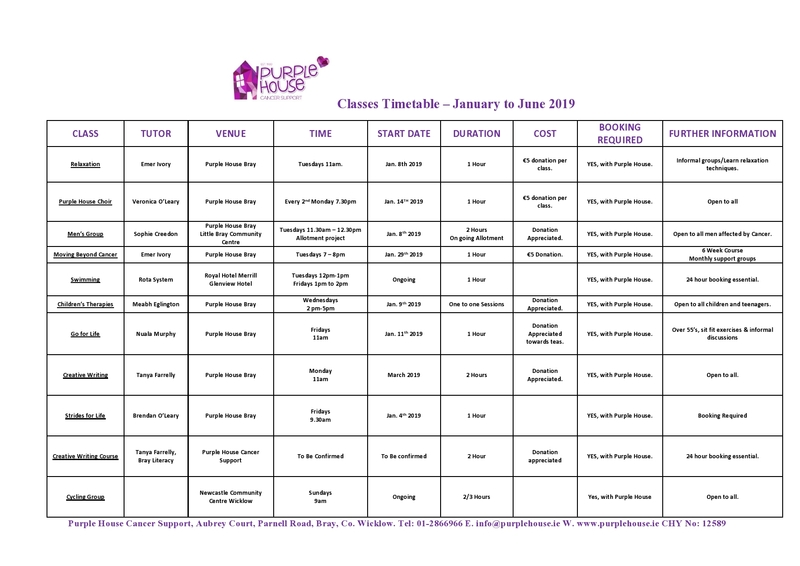 Our Cancer Support Centre is at the hub of Purple House, and is based at Aubrey Court, Parnell Road, Bray, Co. Wicklow & is open from 10am to 1pm Mon-Fri and by appointment from 1pm until 4pm Mon-Thurs. Purple House has disabled access. Our trained volunteers are on hand to offer a sympathetic listening ear in total confidentiality. Monthly Cancer Support Groups in The Lexicon Library, Dun Laoghaire, Co. Dublin on the 1st Tuesday of each Month from 6.30-7.30pm. One-To-One counselling & Bereavement Counselling is available by appointment and free of charge. Counselling is provided by our qualified psychotherapists and professional counsellors. Support Groups for Men affected by Cancer and Breast Cancer Support groups. Moving Beyond Cancer Courses for people one year or more post treatment. Sensory & Creative Therapies for Children one to one sessions with our child & adolescence counsellor. Stanford Cancer Thriving and Surviving Programme – Self Management Programme for Cancer Survivors. Citizen’s Information Benefits & Entitlements Clinics every Wednesday & Friday from 10am-11am. Appointment Necessary. Food Cloud Donations every Tuesday & Friday. 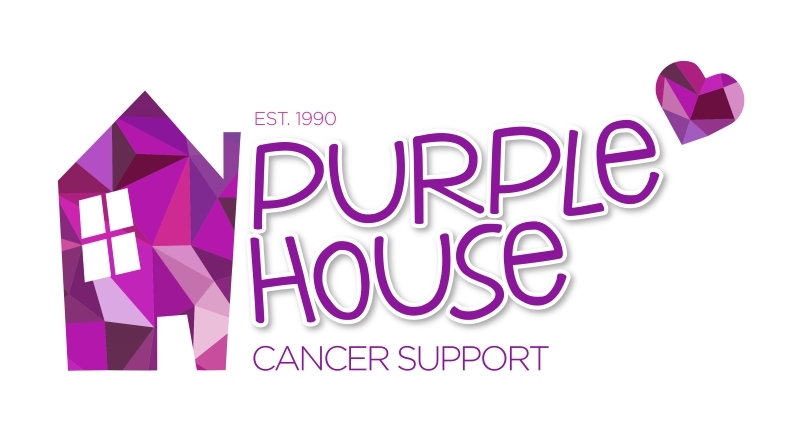 Purple House Choir open to anyone affected by Cancer. Find your voice and sing! No singing experience needed! Fun, relaxed atmosphere. Rehearsals every 2nd Monday night in Purple House Bray. Schools Outreach Programme whereby we give talks to schools on Cancer Prevention and our work in the Community.